Welcome to Tarn Hows Guest House offering Bed & Breakfast accommodation in Keswick at the heart of Wainwright’s Lake District. Tarn Hows Guest House is a traditional, elegant, slate Victorian residence built in 1864 and recently refurbished throughout, maintaining many original features, yet beautifully appointed having bedrooms with that ’wow-factor’. Tarn Hows could be the perfect base for your stay in the Lake District as our Guest House is within easy walking distance of Keswick town centre, parks, lakes & fells. We at Tarn Hows Guest House are more than willing to share our local knowledge and enthusiasm for Keswick, Cumbria and the Lake District by helping to plan your stay, whether, after a hearty breakfast, you are sight-seeing or wishing to experience the breathtaking scenery from a higher viewpoint. We have a library of walking guides, books and maps of the Lake District which are available to guests. Keswick is the perfect base for your Lake District stay, and if you enjoy freshly cooked local food, comfortable, stylish and elegant accommodation with excellent service and hospitality, then Tarn Hows Guest House is the place for you! Tarn Hows has five double rooms, three single rooms and one twin room and all have en-suite shower rooms or have their own private shower room. We pride ourselves on the quality and design of our rooms. Many of our guests are regular customers, and we believe this is due to the standard of the accommodation and the friendly welcome they receive. Please take a look at our accommodation page for more information and photos of the rooms we provide here at Tarn Hows. Our award winning Breakfast is served in our spacious, comfortable and welcoming dining room. Guests can help themselves to a selection of starters from the side table whilst their choice of breakfast is being freshly prepared. At Tarn Hows we pride ourselves in catering for individual needs and source local, fresh produce such as free-range eggs. Our menu includes the popular traditional English Breakfast and variants of it, as well as Continental Breakfast or Vegetarian Breakfast options. 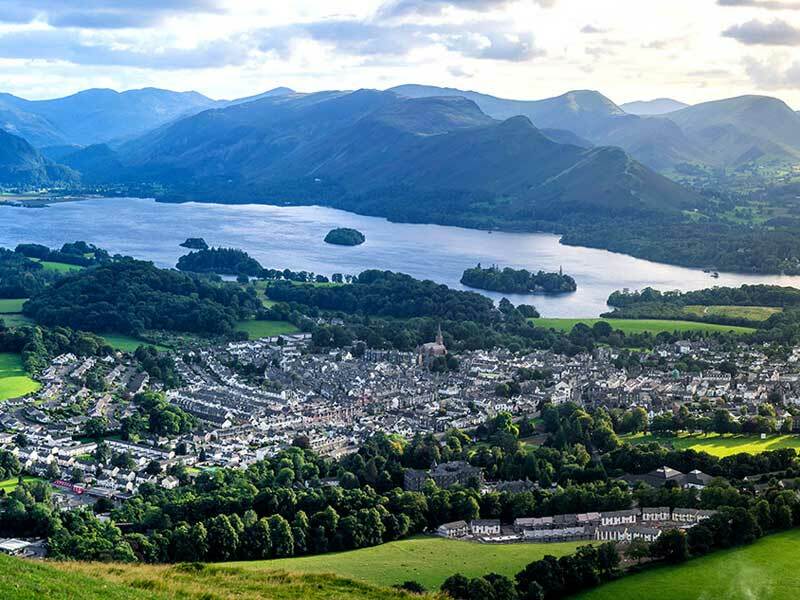 The bustling, historic market town of Keswick in the Lake District is only a few minutes walk away with its acclaimed shops, bars and restaurants. The tranquil waters of Derwentwater are on the doorstep as is the main route to the beautiful Borrowdale valley, reputed to be the most scenic and inspiring in the whole of the Lake District. 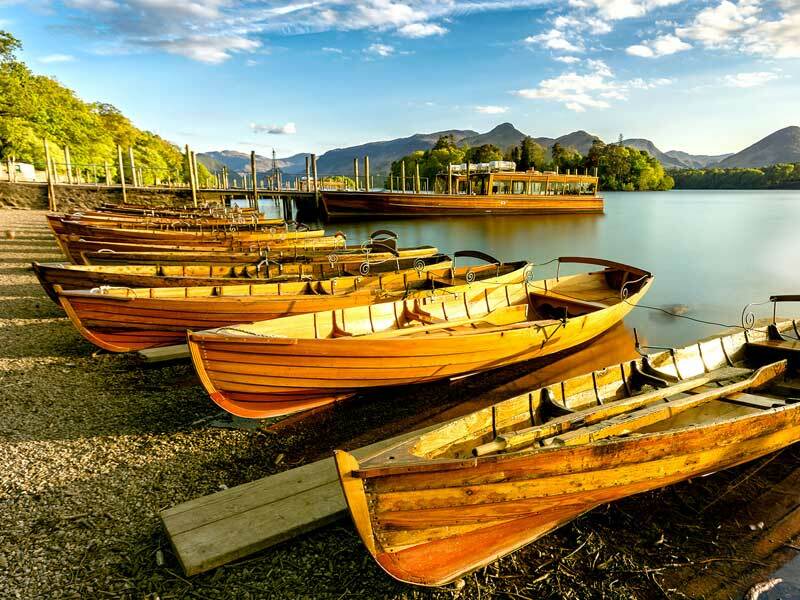 Leaving your car in our private car park, there are boundless opportunities to explore Keswick, the traditional villages, and the majestic fells and local cultural heritage of the Lake District.